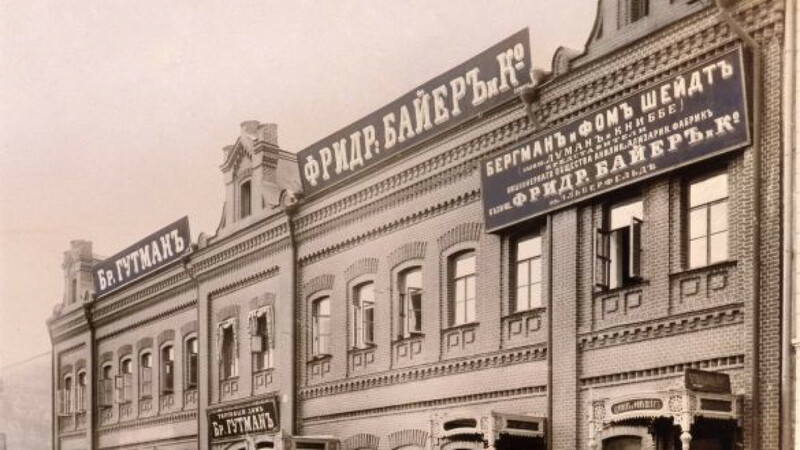 The pharmaceutical giant’s headquarters building in Moscow in 1902. German chemicals giant Bayer will expand its presence in Russia by investing in agriculture and building materials markets with the goal of reaching 1.3 billion euros ($1.7 billion) in sales by 2017, company chairman Marijn Dekkers said Friday at an event marking its 150th anniversary and 137 year presence here. That sales volume would be an 80 percent increase over this year's expected results. Bayer already employs 1,570 staff in 84 Russian cities and plans to add 800 more people and become one of the top three players on the country's pharmaceutical market by 2017, Dekkers said. Bayer HealthCare includes prescription and over-the-counter drugs, vitamins, imaging technology and other diagnostics, prevention and treatment medicine and technology. In 2012, the company's sales in this subgroup came up to 484 million euros, which is expected to grow 14 percent per year, reaching 910 million euros in 2017. The Russian pharmaceutical market is one of the fastest growing in the world. Its value is predicted to triple in the next seven years, reaching $75 billion in 2020, according to Cegedim Relationship Management. 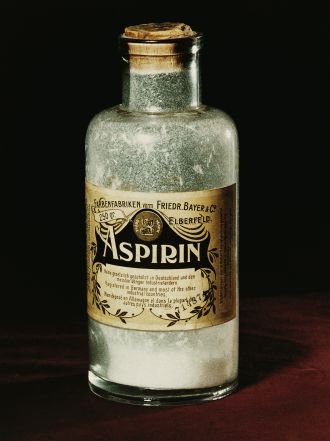 Aspirin sold as a powder in 1899. The government, however, is being increasingly protective of this lucrative market. The strategy for development of the pharmaceutical industry in Russian until 2020, adopted by the Industry and Trade Ministry in 2009, is designed to revamp the sector. One of the strategy's objectives is to ensure that by 2020, 50 percent of all drugs sold in Russia should be manufactured locally. President Vladimir Putin has urged foreign companies in the past to be prepared to produce their medicine in Russia and to transfer technology to their Russian partners, pledging to increase funding for pharmaceutical products to $3.9 billion, FiercePharma reported. Many market leaders, such as Novartis, AstraZeneca, GlaxoSmithKline and Novo Nordisk, have already invested in Russian infrastructure to prevent themselves from being locked out. Dekkers said that last year Bayer signed a strategic partnership with the Russian pharmaceutical company Medsintez to produce medicine and visual diagnostics products in Russia and continues to look for other merger and acquisition opportunities to firm up its position in the country. Bayer MaterialScience products, such as polymers and high-performance plastics used in construction, the automotive industry, electronics and furniture, accounted for 149 million euros ($196 million), which is 20 percent of the company's total sales in Russia. In Russia, plastic consumption rate per person is four times lower than in Western Europe, Dekkers said. This paves the way for the 9 percent market share growth that the company projects over the next four years, reaching 230 million euros ($303 million) in 2017. Bayer CropScience division produces crop protection chemicals and high crop-yielding seeds for agriculture, which accounted for 93 million euros ($123 million), which is 13 percent of all company's sales in Russia. The sales will continue to grow 8 percent annually, reaching 150 million euros in 2017, Dekkers said. Market growth projections are supported by the fact that Russian farmers spend 10 times less on crop protection chemicals, compared to their counterparts in Western Europe.